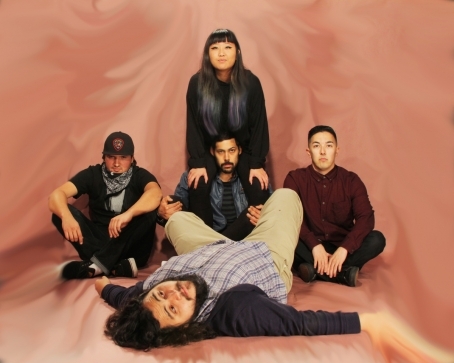 San Fernando Valley has this band called Draag, and they don't play by genre conventions. After splitting with his first band Tremellow, guitarist/vocalist Adrian Acosta started with an idea to get the finest musicians he knew in one room, playing whatever they wound up playing. He admits to SpeakIMG in an interview, "When I started the band, I really had no idea the kind of band I was putting together. I just knew who I wanted on my team." 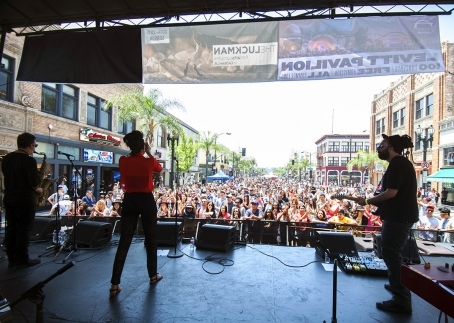 That statement might sound like heresy to a lot of musicians, but in this case it worked out perfectly for Draag, who recently played at the Make Music Pasadena Festival with The Electric West, Hobart W Fink, Tashaki Miyaki, and more. Their influences go off several deep ends, from Talking Heads to The Pixies and Autechre, and you might hear bits of new wave, post-punk, krautrock, and surf punk. Hell, Traci Lordz's opening track "Milk Money" even gets into some a cappella goodness. 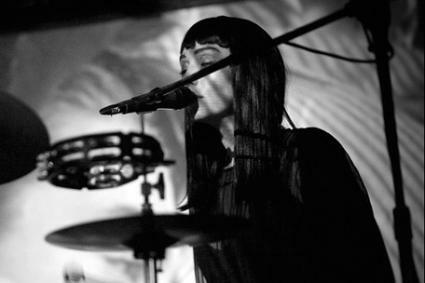 But Draag aren't just piecemealing these elements to show their skills (we acknowledge said skills, though) — they're faithfully honing their own ideas with an arsenal of sounds: high-gain fuzz, '80s synth presets, oscillating delay, and dance-y drum machines. So far, it's working out really well for them. 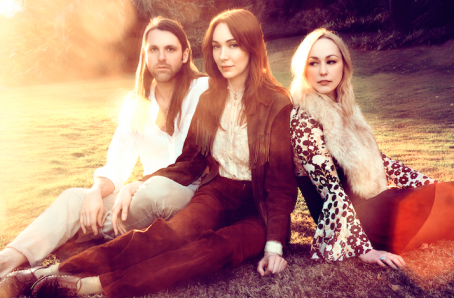 Tashaki Miyaki release new video "Tonight"
Female fronted femme fatales Tashaki Miyaki have already enjoyed some breakthrough success across the pond, which in part is a shame because any opportunity to see them live in the local scene becomes a rare and special event. There's no surprise as to why they've garnered wider appeal - the plaintive, early-eighties feedback drench and intricate vocal tonality of their sound evokes the golden days of Britpop. But there's also quite a bit of that arty, Warholian sensibility as well - their latest video, "Tonight", ops to be sinister with an added dose of humor, in which two lovers are up to no good, plotting a series of murders that will eventually result in tragedy. We're never quite sure about the final outcome, but just like any Bresson or Godard film imagery is key and morality is relative; the rest just lends itself to open interpretation.